Faurecia Clean Mobility was the first company to introduce cost-effective spun mufflers and spun catalytic converters in India. Our products and components for emission control systems are geared to meet the stringent emission norms applicable in India as well as in the developed countries. Our products are also designed to withstand geographic impact and not lose their durability and performance. In order to help automakers meet their targets in reducing fuel consumption and carbon dioxide emissions, Faurecia Clean Mobility continues to develop innovations designed to shed weight from cold-end exhaust components. 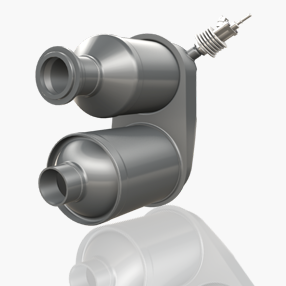 One such example is Faurecia’s proprietary nickel brazing technology, assembling cold-end components less than 1 mm wide. 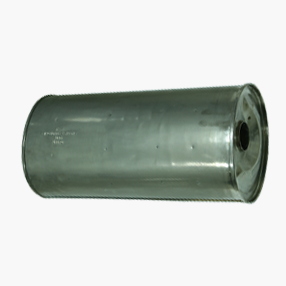 Other innovations are in the pipeline to maintain the sound absorption performance of lighter and more slimline mufflers. Composite expertise is another pillar of Faurecia’s weight-reduction program. Composite materials are made from resins melded with reinforcing fibres that provide automakers an alternative route to improve fuel efficiency. Faurecia’s strategy is two-fold – reduce the weight of vehicles and control production costs. Faurecia Clean Mobility aims to develop materials, processes and products that can be mass-manufactured. Faurecia is stepping up efforts to achieve weight reductions to set the standard in structural and semi-structural carbon fibre parts for high-volume manufacturing. Faurecia is a member of the FORCE consortium, a group of stakeholders in the carbon-fibre market seeking to open the technology to all automakers. Faurecia Clean Mobility aims to shape the automotive industry trending towards electric and driverless cars by pioneering composite applications for relevant vehicles, an increasing sight on our roads. Faurecia introduced the Ammonia Storage and Delivery System (ASDSTM) reduction technology for nitrogen oxide (NOx) two years ago as a superior alternative to liquid urea AdBlue® in terms of NOx conversion efficiency at low temperatures. It uses ammonia stored as a salt in solid form called AdAmmine converted to gas after the engine has started. 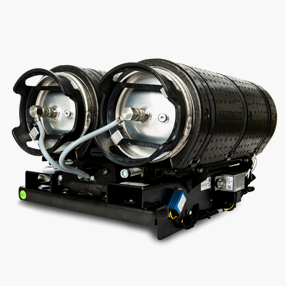 When routed to the exhaust line, it converts NOx into non-polluting nitrogen and water, treating emissions within a few minutes after the engine starts and at low exhaust temperatures that reflect typical city driving conditions. Over the last decade, Faurecia Clean Mobility has contributed to the reduction of pollutant emissions by supplying carmakers with forward-looking solutions in emission control for both diesel and gasoline engines. 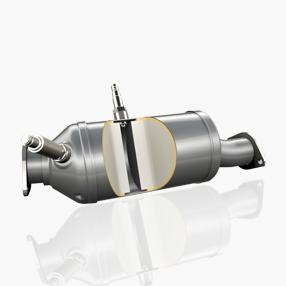 Faurecia Clean Mobility has strengthened its position as a leader in Selective Catalytic Reduction (SCR) systems to curb nitrogen oxide (NOx) emissions from diesel engines. Its innovative close-coupled SCR BlueBox® compact mixer technology is now a part of the exhaust system for various applications. 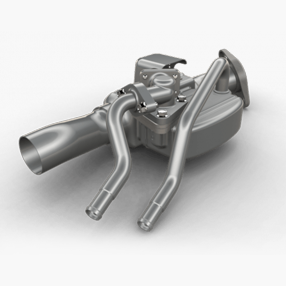 The technology eliminates up to 95% of engine NOx emissions, ensuring compatibility with Euro 6c standards for 2017 and Euro 6d requirements for 2020. As part of its range of cutting-edge NOx reduction technologies, Faurecia Clean Mobility marketed a new Ammonia Storage and Delivery System (ASDS™) developed by its subsidiary Amminex, which stores ammonia as a solid and releases it into the exhaust stream as a gas. The technology has proven to be highly effective in reducing NOx emissions from diesel-powered city buses by up to 99%. Faurecia has already adapted the technology in private cars and vans and is now exploring other ASDS™ applications for agricultural and earthmoving machinery as well as the high-horsepower engines used in motorboats and marine propulsion. Air quality can be enhanced by removing particulate matter from diesel or gasoline vehicle exhaust to comply with the latest regulatory standards, especially in real life conditions. Drawing on a decade of experience in exhaust heat recovery systems, Faurecia Clean Mobility is developing next-generation systems and pursuing joint development projects with customers, notably for its Exhaust Heat Power Generation (EHPG) technology. 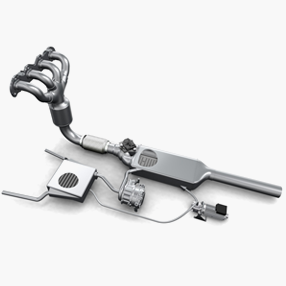 Exhaust Heat Recovery System (EHRS) developed by Faurecia Clean Mobility can capture up to 75% of the energy typically lost as heat through the exhaust system. Faurecia’s compact EHRS is particularly suited to hybrid vehicles. It made its global debut on the new Hyundai IONIQ hybrid. It is the most competitive available solution , reducing fuel consumption by up to 7% (thanks to faster engine/cabin warming) and enabling more time in the electric drive mode. Faurecia Clean Mobility has strengthened its position as a leader in Selective Catalytic Reduction (SCR) systems to curb nitrogen oxide (NOx) emissions from diesel engines. The innovative close-coupled SCR BlueBox® compact mixer technology enables more catalyst volume up to 0.5L to improve the DeNox efficiency. In order to help automakers meet their targets in reducing fuel consumption and carbon dioxide emissions, Faurecia Clean Mobility continues to develop innovations designed to shed weight from cold-end exhaust components. 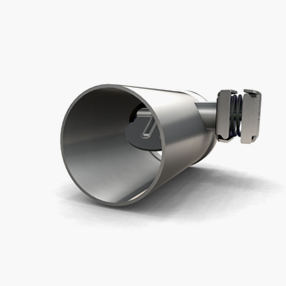 One such example is Faurecia’s proprietary nickel brazing technology, which can be used to assemble cold-end components that are less than 1 mm wide. 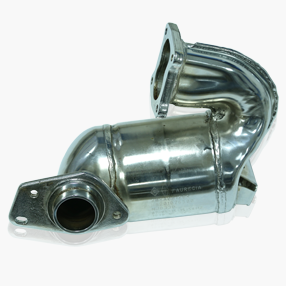 Other innovations are in the pipeline to maintain the sound absorption performance of lighter and more slimline mufflers. Composite expertise is another pillar of Faurecia’s weight-reduction program. Composite materials are made from resins melded with reinforcing fibres, which give automakers another way to improve fuel efficiency. Faurecia’s two-fold strategy is to reduce the weight of vehicles and control the production cost. Faurecia Clean Mobility aims to develop materials, processes and products that can later be mass-manufactured. Faurecia is stepping up its efforts to achieve further weight reductions to set the standard in structural and semi-structural carbon fibre parts for high-volume manufacturing. Faurecia is a member of the FORCE consortium, a group of stakeholders in the carbon-fibre market that is seeking to open up the technology to all automakers. Faurecia Clean Mobility aims to actively shape an automotive industry that is trending toward electric and driverless cars by pioneering composite applications for such vehicles, which are set to become an increasingly common sight on our roads.